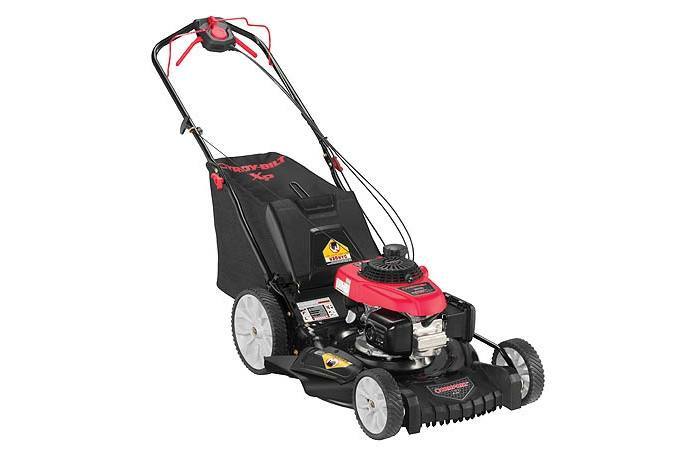 The Troy-Bilt TB365 XP walk-behind lawn mower features a 160cc powered by Honda engine that provides dependable, no choke starting with the ACS system. Rear wheel drive transmission with variable speed provides more control on hills or when bagging clippings. Equipped with the TriAction cutting system, it features a rake bumper to lift grass upright, a specially designed blade for a finer mulch and a symmetrical deck for superior grass flow, eliminating clumping. The TB365 XP self-propelled mower comes with three options to dispose of grass clippings, including side discharge, mulch or rear bagging capabilities. Equipped with 11 in. 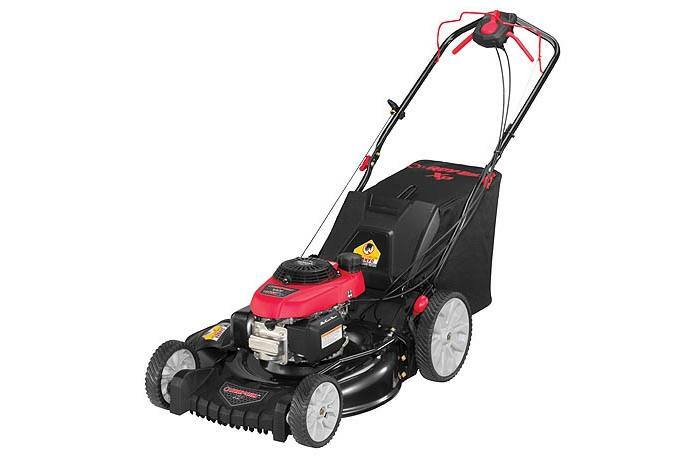 rear wheels for improved traction and maneuverability on hills and uneven terrain, plus a single-lever height adjuster for quick changes in cutting height, demonstrates the rugged and reliable nature of Troy-Bilt. Your work in the yard inspires us to design, test and build the most reliable mowers we possibly can. Visit our How We're Built videos and see what it takes to be built for life. Cutting Height Range: 6 settings from 1.25 in. - 3.75 in.